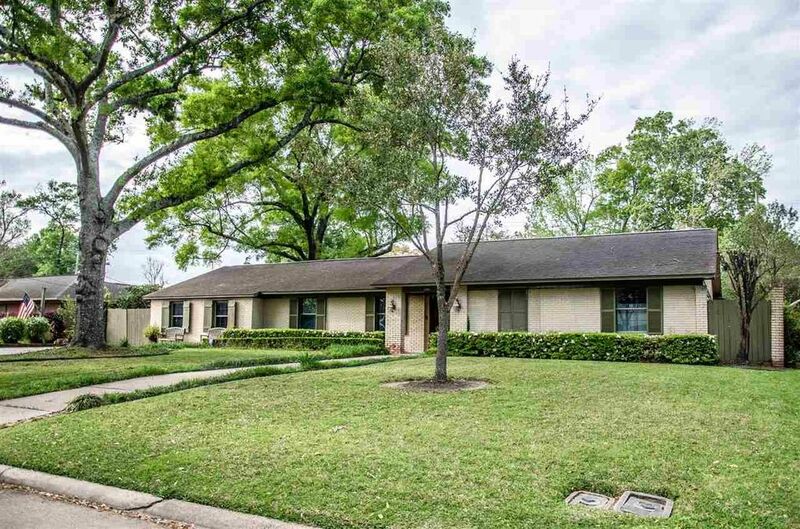 WHAT A CHARMING HOME NESTLED AMONG BEAUTIFUL OAK TREES AND LOVELY LANDSCAPED GARDENS! CHARACTER ABOUNDS IN THIS SPECIAL HOME - CUSTOM FEATURES THROUGHOUT - LEADED GLASS DOORS LEAD INTO THE LARGE DINING ROOM, 3 LIVING AREAS: LVING ROOM WITH WOOD-BURNING FIREPLACE, COZY INFORMAL DEN OPEN TO THE KITCHEN, AND THE SUNROOM WITH GORGEOUS GARDEN VIEWS THROUGH THE FLOOR TO CEILING WINDOWS - SUNROOM ALSO HAS A WET BAR. WONDERFUL KITCHEN WITH CUSTOM TILE COUNTERS AND BREAKFAST ROOM. THE SPACIOUS MASTER BEDROOM HAS IT'S OWN FIREPLACE AND MASTER BATHROOM HAS DOUBLE SINKS, TILE COUNTERS AND BACK SPLASH, AND A NEW WALK-IN TILE SHOWER. THERE ARE THREE GUEST BEDROOMS AND TWO FULL BATHROOMS. NEW WOOD TILE FLOORING IN THE BEDROOMS AND HALLWAY ARE SPECTACULAR!